Many years ago, even before i knew the term psychology, i read a quote in a book called 'The monk who sold his Ferrari. 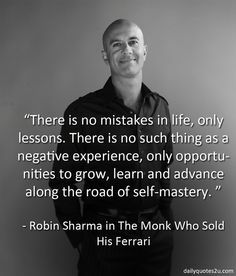 The author, Robin S Sharma wrote - "Until You first empty your cup, how can any more get in?” The conversation was happening between a Monk who was a former lawyer with a lawyer friend. At that time, i could not understand the statement very well and left it as something interesting. Now after 7 years, a Post-graduation in Psychology, and a lot if lessons in life, i can finally begin to make sense of the depthness of the cup. Before I go on to further explain this concept, I would like to share an experience with you. I have often observed that whenever I am tensed, I tend to start cleaning my place and organize all the things lying around by putting them in their proper place. It makes me calm and by doing so I mentally attempt to organize my thoughts just like the things in my room. Vice-a-versa when I am too stressed and upset about something, my scattered room would reflect my state of mind. I feel that until I put all the things at the proper place, until I make more room on my table I cannot address more important issues. The mental cup is a lot like the scattered books on my study table. Until and unless the cup is already filled with assumptions, worries, plans, doubts, questions it cannot accommodate any more ideas. It does not necessarily means that all the negative thoughts needs to be emptied from the mind, the positive ones also accumulate as much space leaving very little for new things. We all have a cup with, whose contents we constantly share with others. The closer we are to someone emotionally, intellectually the more we would give and take from their cup, adding new flavors and colors to our life. Many I times, when I am really emotional about something, I can tangibly feel my cup to be over-flowing. In times like these we need someone’s little empty cup to pour in our miseries and pain so as to create some space for a little peace in our own. A lover, family, friend, pet and even a therapist tend to act as those cups for us. Its moments like these when I need to be able to be an empty cup for others that I feel helpless because I don’t have space in my own. For those of you who are wondering what happens to the old contents of our mind, even if we do manage to upturn the cauldron? Fear not! It does not get lost, we just become much stronger and at peace to be able to contain them within ourselves without letting it affect our lives. To be able to empty the cup requires one to understand and accept oneself and then we can digest the contents of cup without throwing up. It takes a lot of courage to be able to stand into the mirror, look into one’s eyes and say I accept my life. All the negative experiences that I have gone through, all the bad things that I have done, all the regrets, guilt, insecurities, complaints and pain is a part of me. It has shaped me to be me and I accept and embrace it as much as my good experiences. Then, if the image in the mirror smiles back at you, you will know that you are emptying you cup for a better and wonderful life. I am still trying to empty my mind, so I can make space in my life for me, for the things that matter and for the people who are important.